Come and experience a tranquil ranch atmosphere, surprisingly close to city life . . .
Diamond X Ranch is situated in the Dinokeng circuit. We offer you Western style outrides on a ranch, with well trained horses. 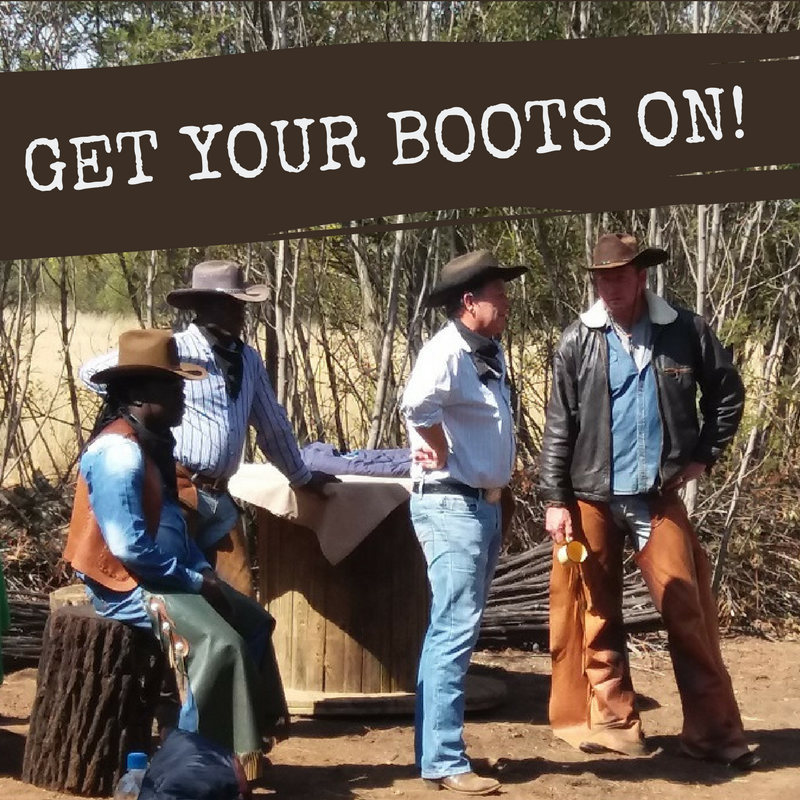 Our cowboys are internationally trained and experienced. You are invited to kick up your heels and let down your hair in our relaxed accommodation, new venue and beautiful surroundings. The ranch is the perfect place to partake in Western activities. This American-style cattle ranch will transport you to an era long passed, where nature, cattle and cowboys were still a way of life. After a long day in the saddle, you are welcome to a cold drink next to the bon fire, or in our “Deadwood” Saloon. You can also look forward to a truly authentic meal. Please visit the Gallery for our latest photos and events such as Cattle Drives, City Slickers Breakfast and so much more. Also do not miss our insert on Top Billing!